Salon Today magazine has selected Republic Salon as being one of the top five best-designed salons in the entire country. 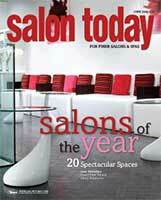 Each year Salon Today honors those new or newly renovated salons distinguishing themselves via design by selecting the very best for the coveted “Salons of The Year” designation, Check us out in their June 2008 issue. Voted #1 hair salon in the Athens Banner-Herald Reader’s Poll for 2008, 2009, 2010, 2011, 2012, 2013, 2014, 2015, 2016, 2017 and 2018 Best of the Best. Voted #1 hair stylist 2014, 2015, 2016, 2017 and 2018 Best of the Best…..Lyric Bellotte! 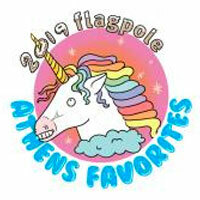 Favorite Salon 2011, 2012, 2013, 2014, 2015, 2016, 2017, 2018 and 2019 Flagpole Reader Picks. Favorite Stylist 2012, 2013, 2014, 2015, 2016, 2017, 2018 and 2019 Flagpole Reader Picks . . . Lyric Bellotte!